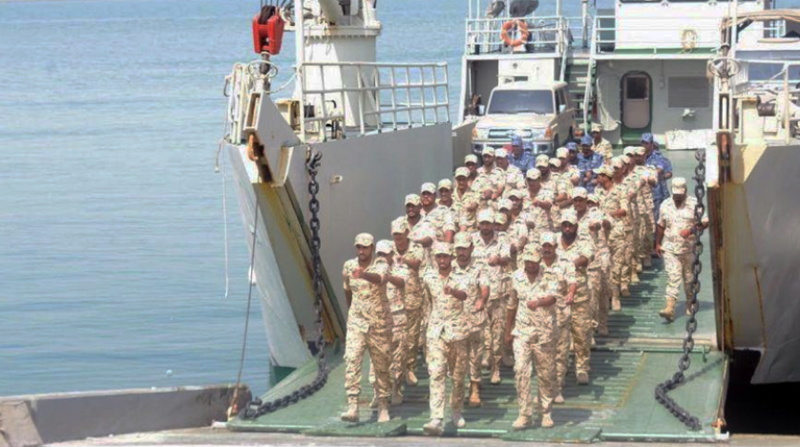 Manama, Dhahran – Joint naval exercise “Bridge 18” was concluded on Thursday between the Royal Saudi Naval Forces and the Royal Bahrain Naval Forces in the water of the Arabian Gulf. The Saudi Royal Navy is being represented by the Eastern Fleet. The naval drill included increasing the level of combat capability and professional performance in all types of maritime operations, uniting the tactical concepts of command and control in addition to enhancing coordination procedures among the forces involved in managing the naval battles. The exercises also contributed to enhancing security and inspection in protecting the regional water and repelling any aggression. The exercise carried out the operations of controlling in territorial seas, protecting vital and important installations and the main waterways in the area, conducting live ammunition, counter-terrorism, surveying and reconnaissance operations, diving exercises and sea landing operations on coasts and beaches. On the occasion, Commander of the Eastern Fleet Rear Admiral Fahd al-Ghafili said that this exercise is an extension of the series of drills carried out in both countries simultaneously to increase the combat preparedness and exchange experiences between the two countries in implementing the joint operations against any potential threat. He added that this drill will strengthen and support the supply of joint forces in any armed conflict overseas, and the development of joint operational coordination between naval units. The participants practiced drills on conventional and unconventional threats, naval security operations and securing naval infrastructures such as harbors and marine bases. Commander of “Kingdom of Bahrain” fleet Rear Commander Eyad al-Mannai pointed out that the maneuvers will increase the level of battle readiness and performance in all marine operations. He added that it will unify control and leadership tactical concepts and enhance marine battle management. Mannai believes that the importance of the drill lies in the security cooperation between both countries in light of both navies capabilities and their need to exchange training, technical and intel expertise.